Ferrari are expected to set the season-opening pace at Albert Park, but the Italian team could be the scene of some old-fashioned intra-team fireworks. New boy Charles Leclerc, a Ferrari academy protege brought in from Sauber to replace Kimi Raikkonen, matched four-time champion Sebastian Vettel in testing at Barcelona. Vettel is entering his fifth season with the team and knows he has to improve on last year's erratic showing to retain the faith of the tifosi and keep Leclerc at bay. Michael Schumacher had to wait until his fifth season in red before he claimed his first drivers title with them and then won five in a row. Liberty Media took over in January 2017 and soon switched attention from a more traditional broadcast business model to greater use of social media, streaming and inter-activity with fans. The first series of Netflix movie 'Drive to Survive' was launched on Friday with Ross Brawn, once one of the best-known bespectacled boffins of the pit-lane during his title-winning years with Benetton, Ferrari and his own eponymous Brawn team, heading the promotional activity in his role as motorsport boss for the new owners. 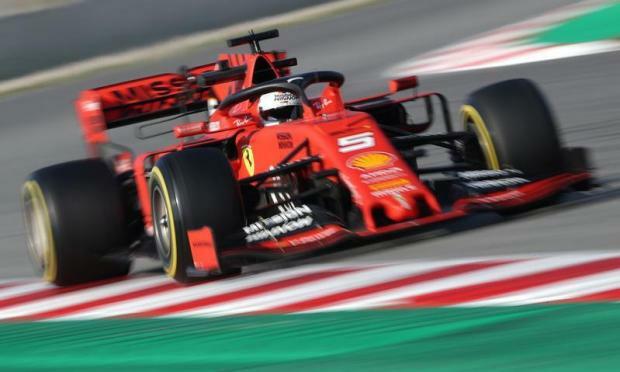 "This sport is able to grow and it will grow quicker if all the teams are part of the process," he said, noting that top teams Ferrari and Mercedes had opted out of the initial filming in 2018. The once-great Williams team, which has powered drivers including Alan Jones, Keke Rosberg, Nigel Mansell, Damon Hill, Jacques Villeneuve and Alain Prost to world titles, turned up late for pre-season testing at Barcelona –- and then flopped miserably as they clocked the slowest times. Technical director Paddy Lowe, recruited two years previously from Mercedes to head the team's revival, departed on March 6 to take a 'leave of absence'. Like Williams, McLaren have undergone a transformation from dominant force to midfield scrappers in the last decade and they are a long way from repeating the halcyon days of the famous rivalry between Ayrton Senna and Alain Prost. Last season, they were sixth in the constructors title race before two-time champion Fernando Alonso left the team, to be replaced by fellow-Spaniard Carlos Sainz. He is partnered by British rookie Lando Norris, 19. Three rookies join the grid for 2019. The trio of George Russell, Lando Norris and Alexander Albon finished in that order on top of the 2018 Formula Two championship and have joined Williams, McLaren and Toro Rosso respectively. Albon, born in London, is the first Thai driver since 1954 and will partner returning Russian Daniil Kvyat at Toro Rosso. Russell, 20, partners 34-year-old Robert Kubica who returns for the first time since 2010 following a near-fatal rallying crash that left him with a partly-severed right forearm. Norris, 19, will be the youngest driver on the grid as partner to Carlos Sainz, 24, at McLaren. F1 has stepped back to the future for 2019 by a desire to re-introduce the award of a world championship point for fastest lap at each race. A point for the fastest lap was awarded during the first decade of the world championship from 1950 to 1959 and was decisive in the outcome of the 1958 title race. In that season, Mike Hawthorn beat Stirling Moss by a single point to take the drivers crown, having set two fastest laps more than his rival.